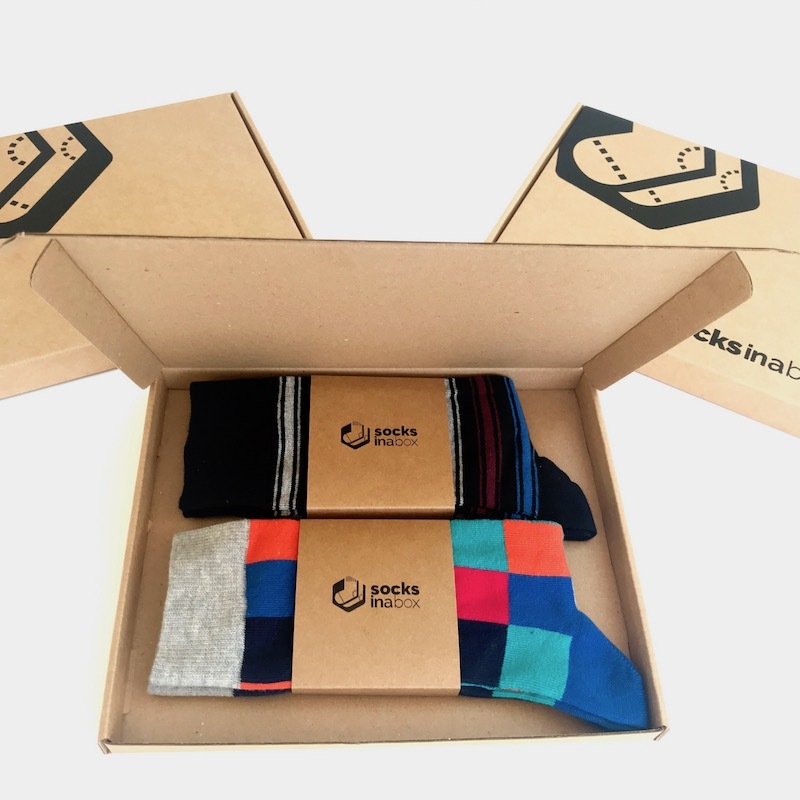 Having trouble deciding whether to treat someone to one of our Modern Classic or Snazzy sock subscription boxes? We have the answer to your sartorial dilemma right here. If you have a friend, dad, brother, or uncle who has a flair for fashion but who needs to dress a little more conservatively some days, but then likes to unleash their inner style guru on others, The Mix For Men sock subscription box is the way forward. 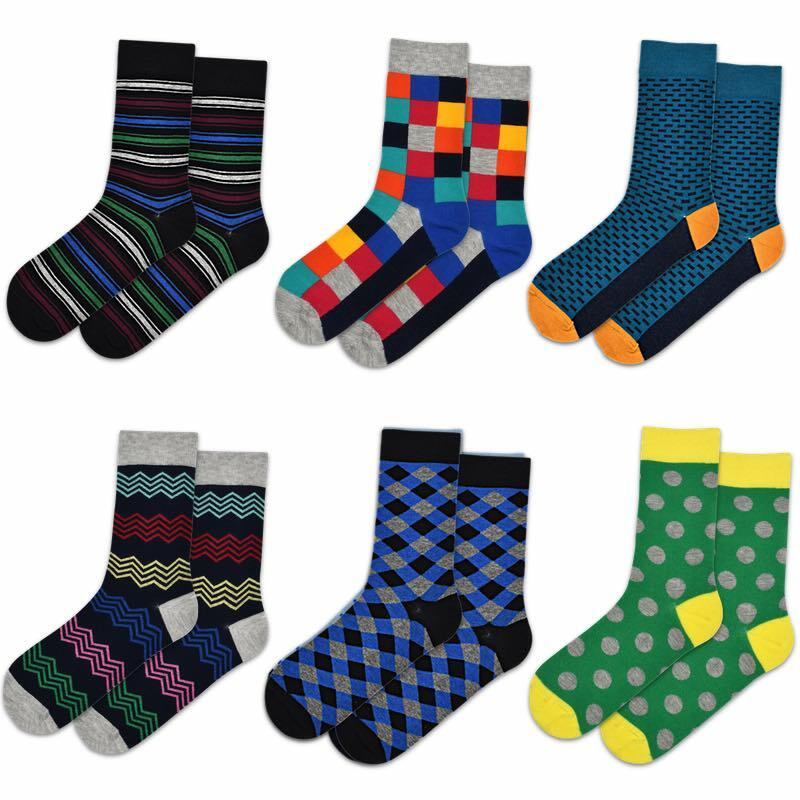 If you select an option for 1 pair of socks per month we will alternate the socks from both ranges for either 6 or 12 months. 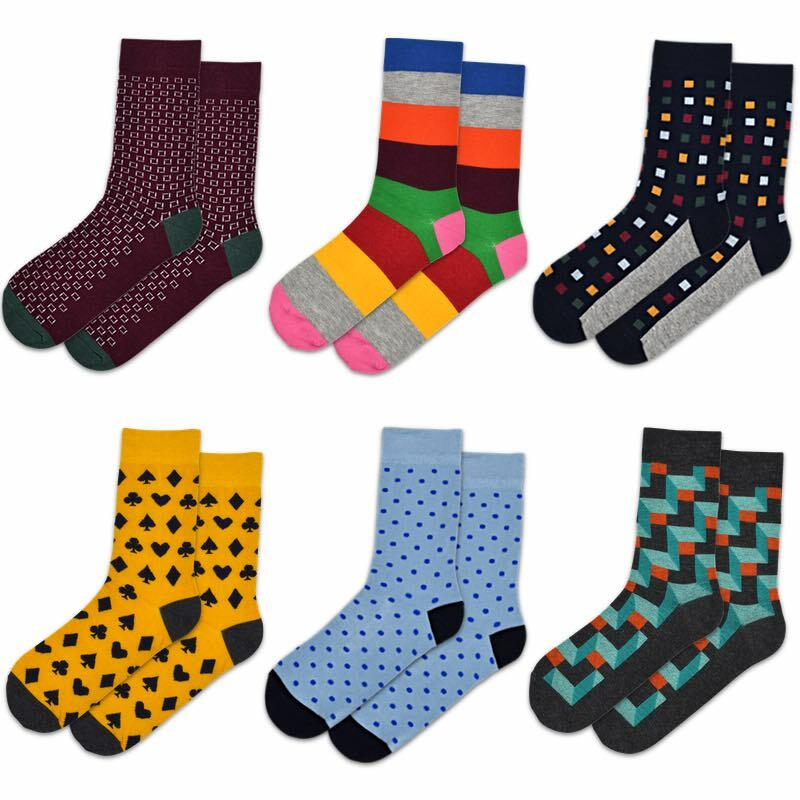 Or, if you choose one of our options with 2 pairs of socks per month, we will pop a pair from each range in each box for 3 or 6 months. Can I choose the socks that go in the box? We’ll send you a gift certificate for you to print out and give to your recipient if you see them before their first delivery. Our boxes are small enough to fit through most letter boxes, meaning your recipient needn’t be in for their socks to be delivered. Include a personal message when you order and we’ll pop it in the box so that your recipient knows who to thank! Well-designed, funky socks every month for 3, 6, or 12 months. The gift that keeps on giving. Which socks go in the boxes? 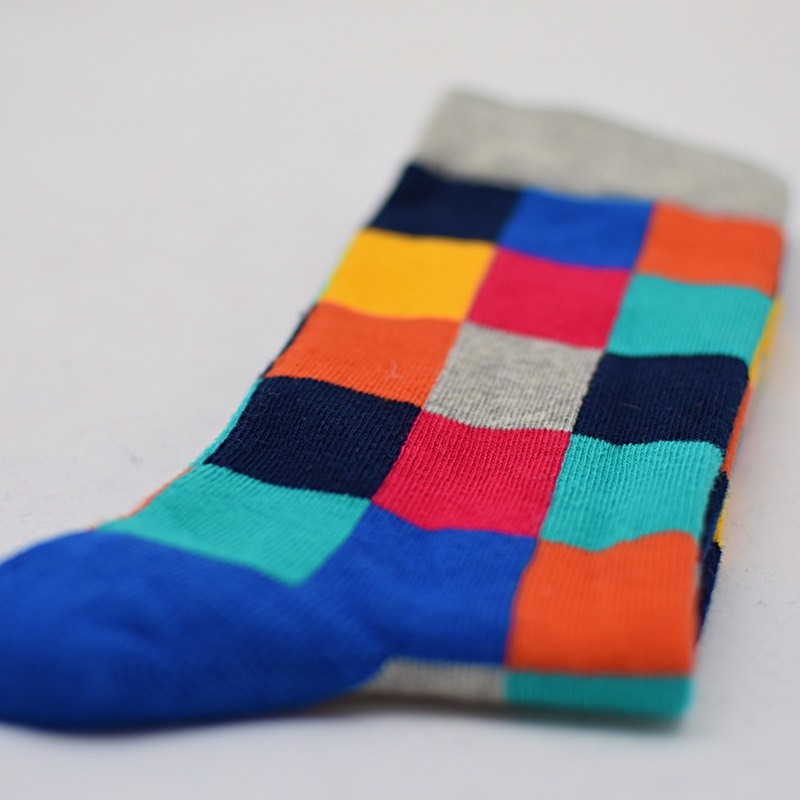 The photos on this page should give you an idea of the styles of socks that we put in this specific subscription box. However, we cannot guarantee that your recipient will receive any specific sock, nor are you able to specify which socks go in which boxes. 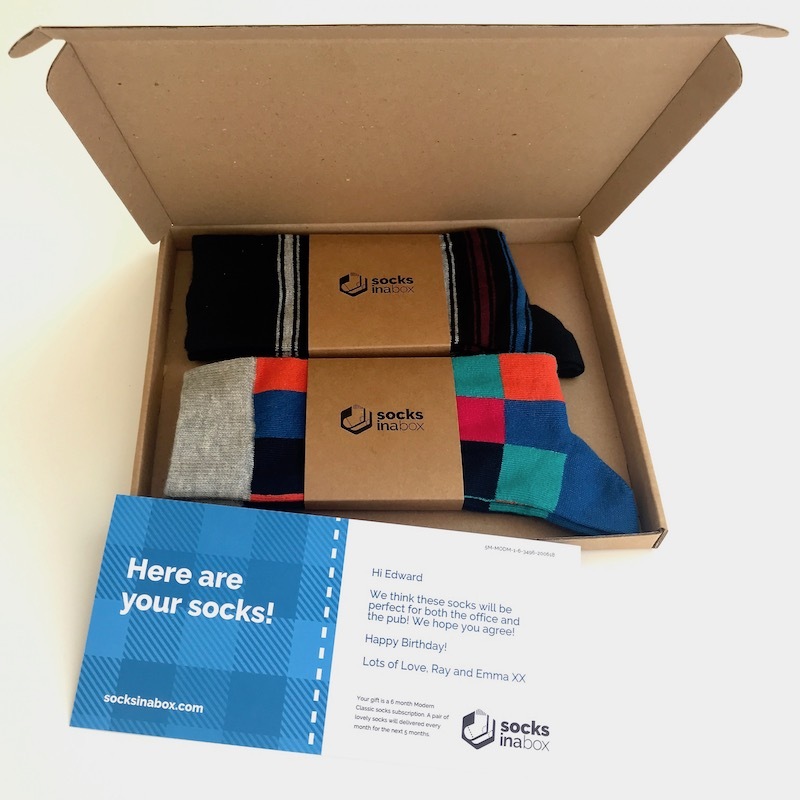 Every pair of socks that we put in a box have been carefully selected and we’re confident that your recipient will love their socks. 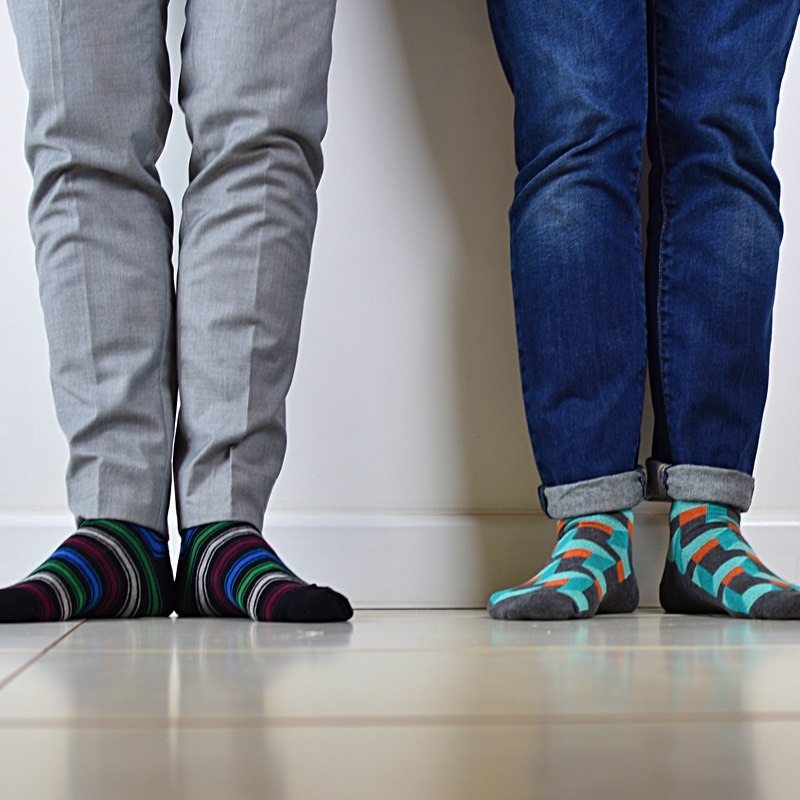 Of course, if they aren’t happy with their socks, then please contact us and we’ll be happy to help.